2018 Ram 1500 Owner is Frustrated He Can't Turn the Music Totally Off! 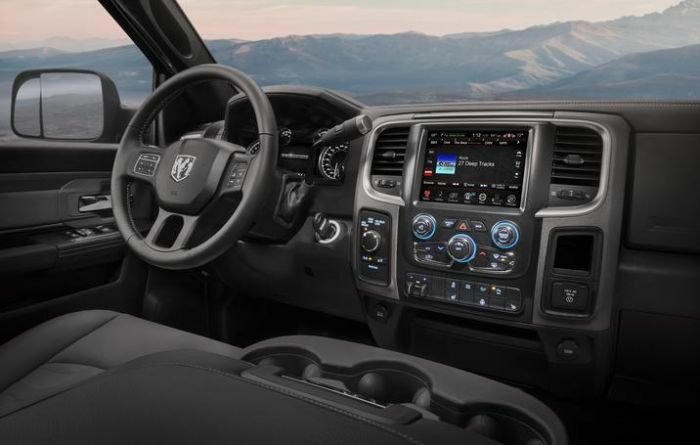 With all the new communication and navigation systems built into modern vehicles, one 2018 Ram 1500 owner is frustrated that he can't turn the music or radio off in his truck. He reaches out to a popular truck forum for advice in how to best mute the blaring music. 2. Do this: Mute the music/radio. Make a handsfree phone call. End Call. Music comes back on at the same insanely loud volume you had to put the call at, to hear over freeway noise. That's fine, so long as I chose to let it automatically mute when I made the call. But as an alleged adult, I should be able to make the decision myself to turn the music OFF before a call and have it stay off when I'm done. 3. How about navigation? When I'm driving at some multiple of the posted speed limit, it's not safe to fiddle with the touch screen to adjust the Navigation Voice so I can hear it over the music. And I can't turn the music down without turning everything down. Solution to all this nonsense: Have a simple OFF button for music (including media/aux/radio/sirius) like every car has had since the dawn of time. No one from Ram Cares joined the discussion on the forum. Ram doesn’t build the radios, a supplier does, but it would seem that Ram must provide the specifications. Hopefully, they can fix the situation with a software update, or at least remedy the problem in future models. How do you adjust the volume and not see the volume level #? 2018 Ram 1500. Having to wait until the volume #'s go away is distracting. I agree and also find this no radio off situation completely annoying. I honestly don't believe I would have purchased this truck had I known this ahead of time. I also think a knob for shifting is stupid too. And FYI if you aren't aware? Anyone anytime can roll your truck away if you leave your doors unlocked.